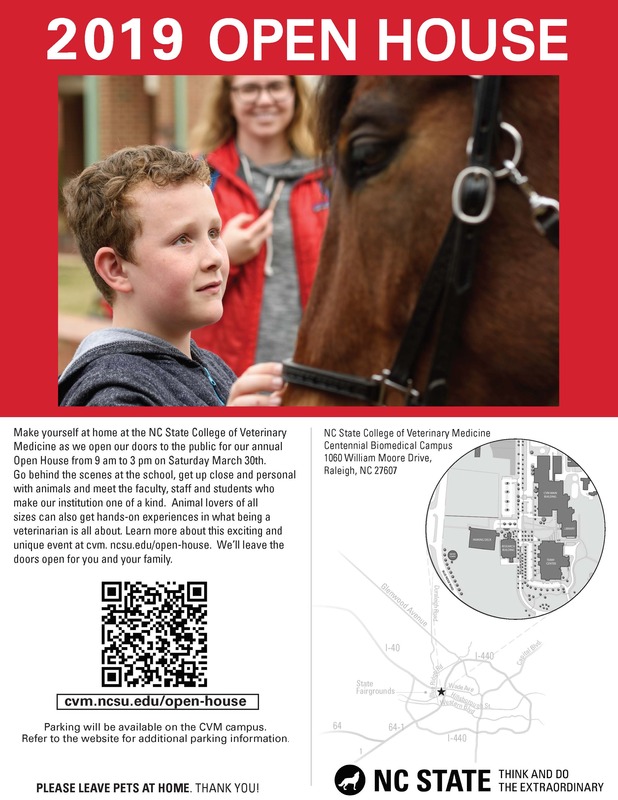 Go behind the scenes at the NC State College of Veterinary Medicine and NC State Veterinary Hospital during our annual Open House. Educational and entertaining, our free Open House includes hospital tours, visits with animals of all shapes and sizes and insight into veterinary medicine and animal care from our students, faculty and staff. Free and registration is not required.